Because your skin is one of your biggest assets. Your skin is one of the first things people notice (and quite possibly remember) about you. One that communicates so much about who you are, where you’ve been, and where you’re going in life. Your visual voice. Your calling card to the world. Your skin’s texture, clarity, and tone is worth a thousand words. A statement of health and confidence that captivates and communicates beautifully on your behalf. You need to put your best face forward… So it’s time to really invest in your skin and make a powerful statement (and lasting impression) – at any age. After all, your skin care should reflect the way you approach everything in your life: with great care, passion, and real intentionality for success – and a demand for the best. A smart skin care system that delivers honest and effective solutions for your skin and powerful results for your life – one that elevates your personal approach to caring for your skin – built on a skin care philosophy that’s timeless. Detailing everything your skin needs (and nothing it doesn’t) to fit your busy lifestyle and demand for the best, ensuring you never compromise on quality, results, or personal philosophy. Made to see you through all life’s adventures. Introducing, what we believe to be, the most forward thinking – real – world-class skin health system on the market today. 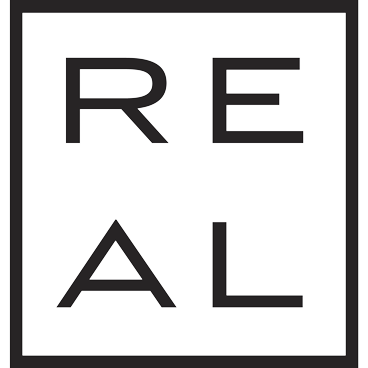 THE REAL: SYSTEM is the most empowering addition to your modern lifestyle. 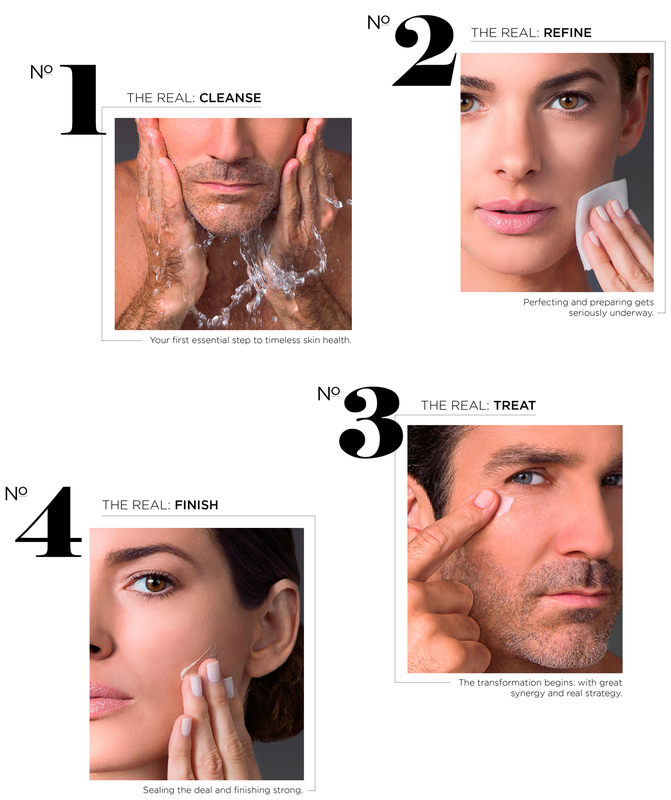 Its honest and comprehensive take on skin care is a must-have for the sophisticated woman and man who live a busy, incredible life; need to put their best face forward; and are passionate about investing in their future skin – no matter their age. It promises results you’ll see and feel immediately and brighter, clearer, smoother, firmer, more even-toned skin in the first 30 days – with exciting, accumulated results month after month – for younger-acting skin that’s aging slower and functioning consistently at its best. Effortless and luxuriously addicting: an enduring system of care you’ll covet for years to come. A SYSTEM OF INTELLIGENT DESIGN. It’s all in the Attention To Detail. Our comprehensive system involved incredible expertise to execute – as our pursuit for world-class results required the utmost attention to detail. 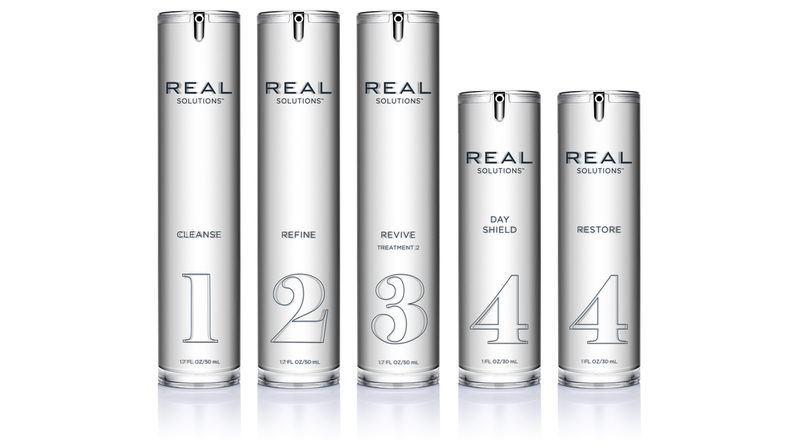 brilliantly formulated into 8 distinct, multi-functional premium solutions. Think 114 proven, high-performance actives, 11 innovative technologies, and 10 advanced sciences brilliantly formulated into 8 distinct, multi-functional premium solutions. and a single, ultra-sophisticated airless bottle design. 4 simple steps, 3 strategically layered treatments, 2 luxuriously addicting, daily face care rituals – and a single, ultra-sophisticated airless bottle design. Our 1 novel system epitomizes powerful simplicity, great synergy, and real value. Each distinct solution is made to play a specific role, realize a targeted result, be an effective solution. Work in powerful synergy to achieve the results of dozens of antiaging breakthroughs and combinations – and focus on your skin’s inner and outer layers simultaneously – to transform your skin from inside out. OUR PROCESS IS SIMPLE AND COMPLETE. (all while slowing the hands of time). Use our advanced solutions, follow our strategic steps… and you’ll wield head-turning results, unstoppable confidence, and leave an indelible mark on everyone you meet (all while slowing the hands of time). REAL INGREDIENTS MEET REAL FORMULATIONS. After all, it IS what’s on the inside that counts. Stop being disappointed by incomplete, lackluster skin care. Stop falling for all the hype. Stop wasting your valuable time and money. Stop being disappointed by incomplete, lackluster skin care. Stop falling for all the hype. Stop wasting your valuable time and money. We’ve designed three levels of care to perfectly fit you + your skin goals precisely where they’re at. Consider your skin care handled – from inside out, wrinkle to dark spot. Ready to choose your level? Great, because we’re ready to help. If you’re ready to invest in intensive around the clock treatment for noticeably healthy (not to mention, impressive) skin – that ages slower to boot – our flagship system has your name all over it. 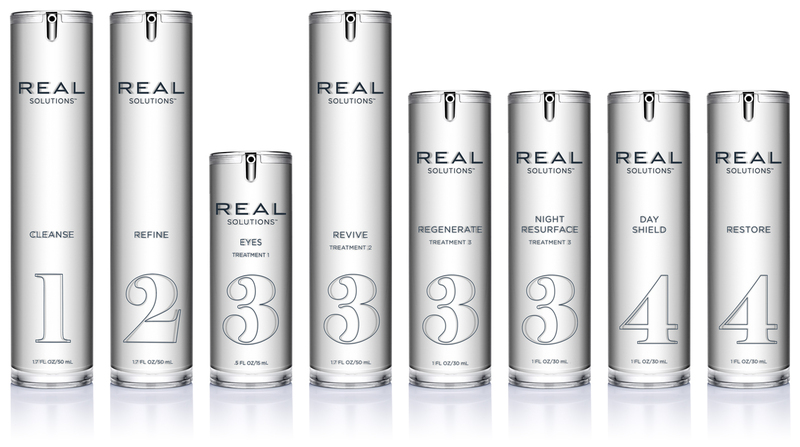 Cleanse + Refine + Eyes + Revive + Regenerate + Night Resurface + Day Shield + Restore. Not quite ready for the complete treatment? 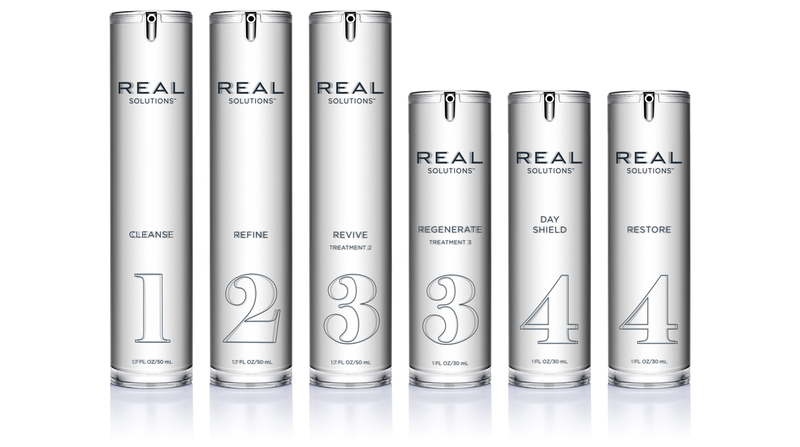 Cleanse + Refine + Revive + Regenerate + Day Shield + Restore. Just starting out – or want to dip your toe in the solution, so to speak? Only contain ingredients that are 100% safe and beneficial for your skin – and do not contain any ingredient that could damage your skin’s barrier, including harmful Fragrance (or Parfum); SLS (Sodium or Ammonium Laureth/Lauryl Sulfate); SD, Denatured, Isopropyl Alcohols; Witch Hazel; Menthol; Chemical Sunscreens; Hydroquinone; or any harsh preservatives. 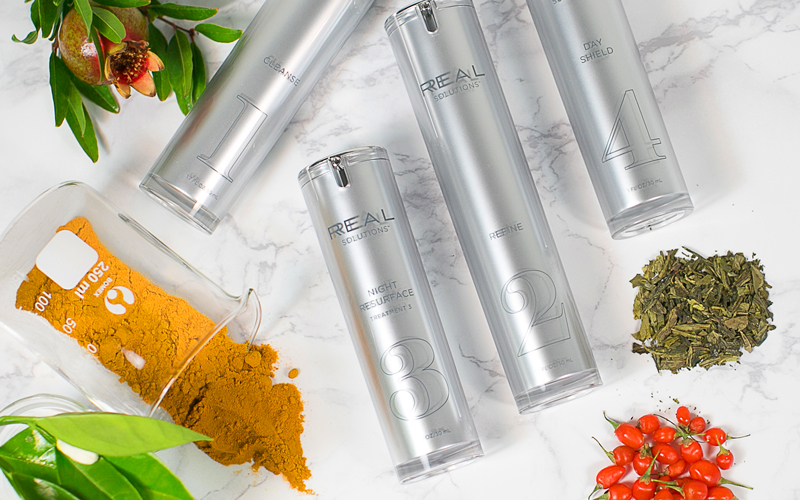 Are infused with the most innovative, global, scientifically proven active ingredients (including many that are naturally found in the skin) clinically proven to be the absolute best for our aging skin: the precise ingredients our skin needs to look, feel, and act healthier. Boast unprecedented concentrations of active ingredients (8 to 26 per solution). Are highly multi-functional performers that successfully target multiple skin concerns at once – and feature the benefits of many advanced combinations and breakthroughs..
Are brilliantly formulated to keep all skin types in mind. No harsh or irritating, pore clogging, heavy-feeling formulas – just amazing formulas that simply work for us all. Are carefully formulated at their proper pH – and each ingredient at its proven, optimum concentration: two critical factors in a formula’s effectiveness and necessary for real results. Botanicals are hand-picked for quality, freshness, purity of source, and potency – then extracted in-house, using a traditional steam distillation method, to optimize freshness and efficacy. Undergo toxicity, microbiological, temperature, and stability tests to guarantee their consistency and quality from batch to batch. Are manufactured using the cleanest, most eco-friendly process and lowest carbon footprint possible. Are produced with care, in small batches, and shipped directly to your doorstep: this equals fewer, cleaner preservatives and fresher, more potent solutions – for real results and significantly healthier skin. This is an important difference: big brands are produced in mass and go through long distribution channels before reaching retail shelves (where they can sit for months) – this means added, harsher preservatives and less fresh, less potent products. Ingredients are never tested on animals and are not animal-derived. Have luxurious textures and distinctly clean and fresh scents. Protect our solutions from harmful bacteria and other contaminants. (Dipping your fingers into a jar transfers bacteria from your hands into the product – causing antioxidants, Retinol, and other state-of-the-art ingredients to further deteriorate). Reduce waste. 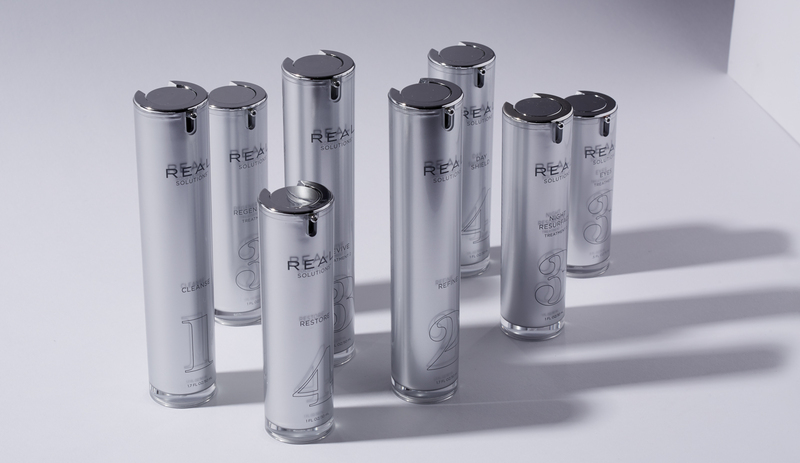 Our airless pump consistently dispenses a precisely measured amount of solution with each use and dispenses every last drop. Be an elevated accent to any bathroom’s décor: the epitome of elegance meets performance.